Last year, in my quest to be a most happy Daniel’s Art Party community-engagement fellow, I attended the all-are-welcome annual business meeting of radio station WBCR. Among the band of passionate public radio enthusiasts were four people whom I’ve come to know pretty well and admire a lot. The meeting was led by the naturally winning Asa Steady Hardcastle. His way of conveying his dedication to WBCR inspires me to believe that I should now, somehow, take up the mantle and be a contributing member of the station. So, after that business meeting, I attended a few planning meetings with several WBCR leaders and kept an eye out for how I can help them to raise their radio phoenix from the ashes, resurrecting the station to its previous, and hopefully transcendent, glory. One way DAP attempted to bring awareness of WBCR was to collaborate on a radio theater presentation with the stranger sitting next to me at the business meeting, Ruth Giordano. After the meeting, I heard her talking to Asa about radio theater, so I butted my nosey nose in, introduced myself, and told Ruth that I’d love to know what she’s up to. That led to DAP producing Ruth’s group, Red Room Radio Redux, at the Daniel Art Center’s McConnell Theater. 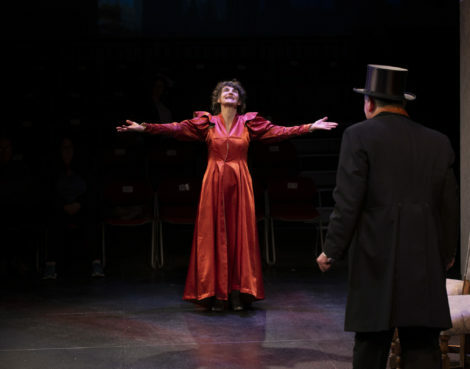 Ruth’s adaptation of Bram Stoker’s “Dracula” was a great fit for DAP, especially as it was near Halloween time. 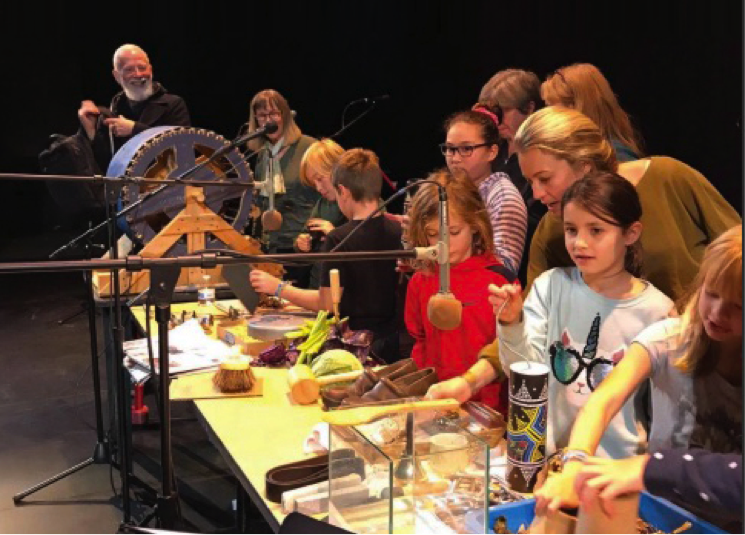 Kids exploring the Foley table, to the delight of rookie Foley artist John Prusinski, left. Cable station CTSB’s Chris Graham, who very recently worked with audio/video artist John Prusinski on a fundraising video for WBCR—support local radio, people!—was at the business meeting. He and I have since gotten to know one another and enjoy ruminating on future cable projects—more on that soon. And finally, when it was his turn to stand and talk knowingly and helpfully to the attendees of the WBCR meeting, selectman and WBCR board member Ed Abrahams (and Great Barrington Selectman) very sensibly laid out some information for all to consider. I was thinking, “Wow, that guy is the voice of reason.” I have found this to be Ed’s way, as he answers the DAP call again and again, while devoting himself fully to the well-being of Great Barrington. 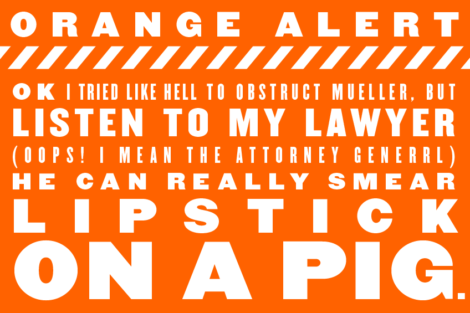 Having an ally like Ed on our DAP team is a game changer, and I couldn’t be more grateful. 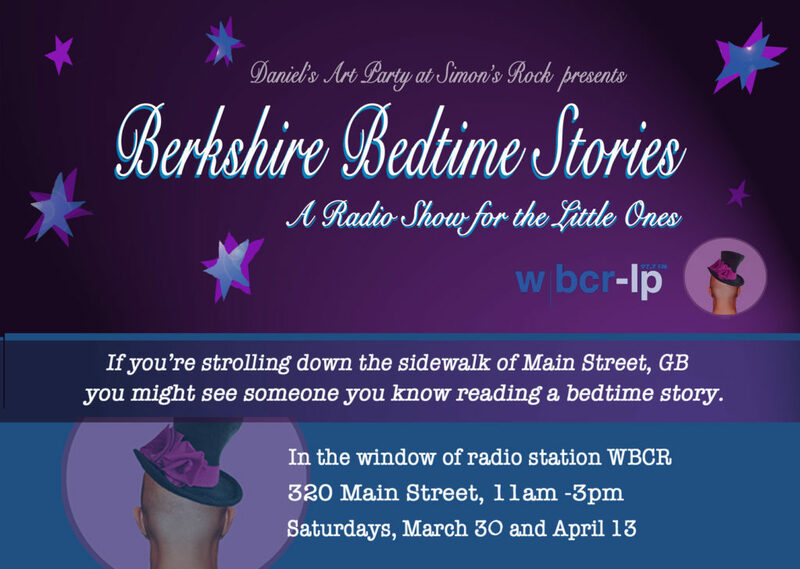 The next DAP/WBCR collaboration will be “Berkshire Bedtime Stories,” a series of recordings of children’s books read by Berkshire locals. The show will be broadcast at bedtime, as you might imagine. Our first recordings of the shows will take place live, behind glass, at the new home of WBCR. Come watch and listen as Ed, Rikke Borge, Chris Tucci and many others hold forth for the little ones.